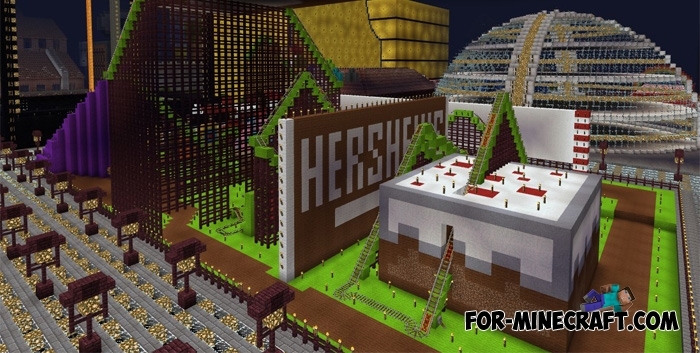 This is one of the largest amusement parks in Minecraft created for all devices. Notchland is simply huge, it is very difficult for one visit to see all the attractions. The map is still being developed and improving, but now you can ride most structures. Roller coaster is not the main attractions, there are a lot of other places intended for games with friends. Try to install Notchland on your server and be sure to call friends. 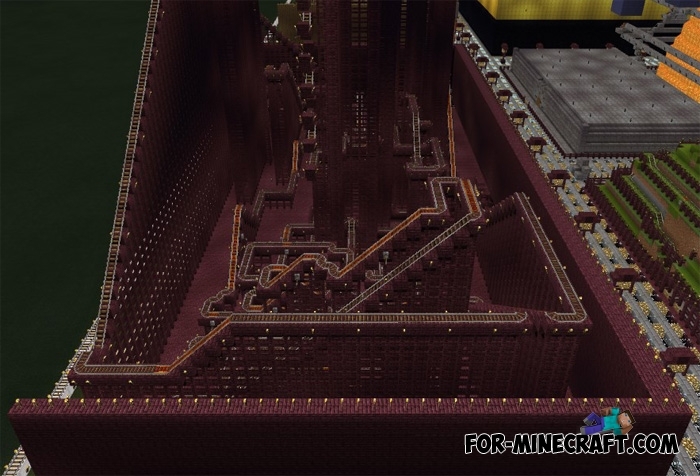 Turn off the HUD after you get into minecarts on a roller coaster. Be careful, attractions are addictive and it will be hard for you to forget them. 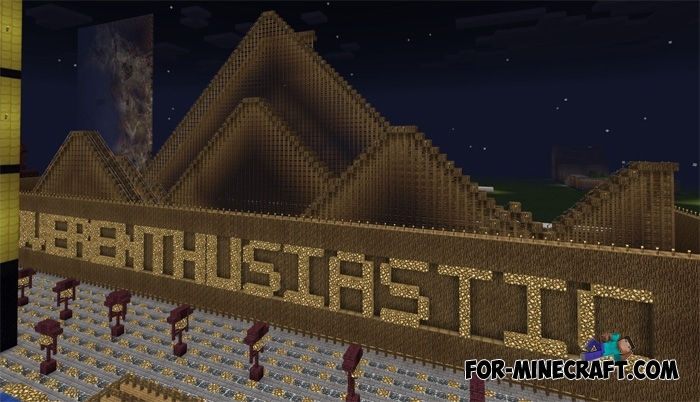 The second version adds functionality to all the rollercoasters, have a ride with friends. Halo Hud Textures for MCPE 0.17.0/1.0.XHalo Hud slightly changes the usual first-person view. On-screen indicators and model..
X-Structures mod for Minecraft PE 0.14.0/0.14.1X-Structures mod adds the ability quickly generate the different structures - houses, temples, towers and more in Minecraft Pocket Edition 0.14!